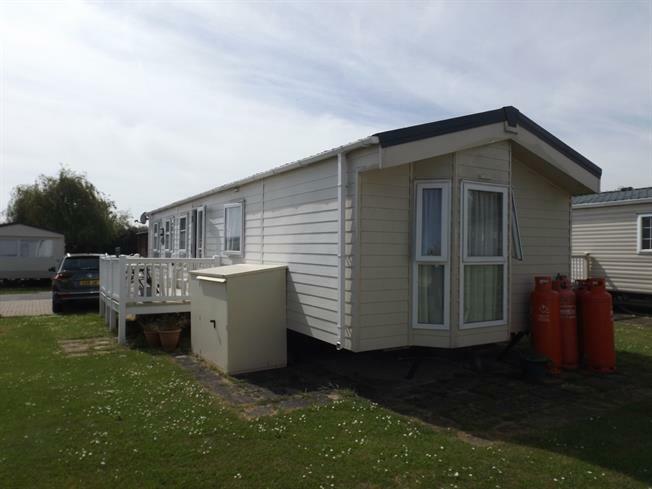 2 Bedroom Mobile Home For Sale in Clacton On Sea for Offers in excess of £33,000. This four year old Delta Ambience model caravan is being sold by the current owners due to the lack of use. Inside is a living room with patio doors to front opening into a fully fitted modern kitchen with built-in appliances with a dining area, inner hall leads to a master bedroom with built-in wardrobe and en-suite and a second bedroom and bathroom. Outside is a raised decking area and parking bay for two cars.